What Are Dual-Band and Tri-Band Routers? Dual-band technology is fairly common when you start looking for modern 802.11ac routers. Modern 802.11ac Wi-Fi uses the faster and less-cluttered 5 GHz spectrum. Older Wi-Fi technologies like 802.11n and earlier use the slower and more-cluttered 2.4 GHz spectrum. When you get a router with simultaneous dual-band technology, it can broadcast a 5 GHz signal and a 2.4 GHz signal. Devices that support modern 5 GHz Wi-Fi will connect to the faster one, while any older devices you have lying around will connect to the older, slower, but more compatible 2.4 GHz signal. Essentially, the router can host two different Wi-Fi networks at once. This allows you to upgrade to 5 GHz Wi-Fi for the devices that support it without losing compatibility with older devices. 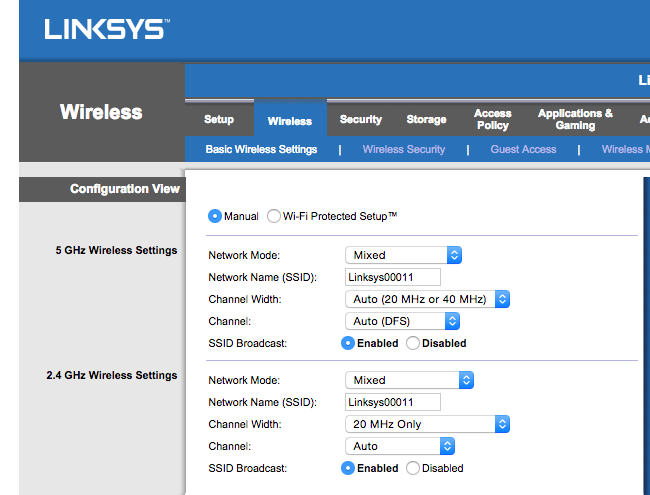 If you had a single-band router, you’d have to choose between older 2.4 GHz Wi-FI and modern 5 GHz Wi-Fi. A simultaneous dual-band router gets you both. A dual-band router makes sense for compatibility reasons, but why do you need a separate 5 GHz Wi-Fi signal? Well, because Wi-Fi networks suffer congestion, too. Theoretical maximum Wi-Fi speeds are split and shared among all the devices on your network. So, if you have a smart TV streaming a high-resolution 4K stream from Netflix, that will reduce the Wi-Fi speed available to your other devices. A tri-band router is literally hosting two separate 5 GHz networks, and it automatically sorts devices into different networks. This offers more speed to share among your devices. Note that it won’t actually speed up a single device — that device is only connected to one of those networks at a time — but it will offer more speed to additional devices you add. In theoretically ideal conditions, a dual-band router may offer up to 450 Mbps on its 2.4 GHz signal, while it also offers up to 1300 Mbps on its 5 GHz signal. 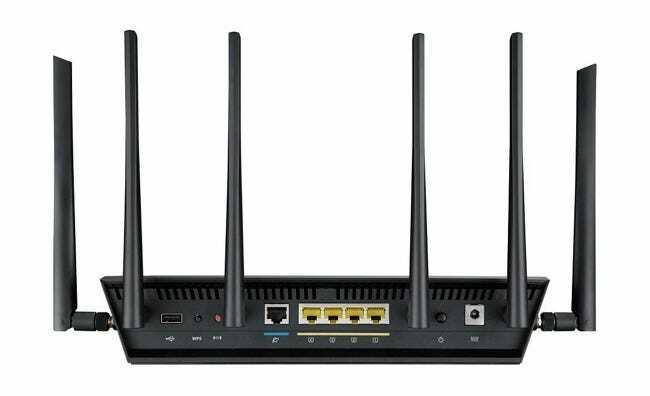 Dual-band routers like these are thus labelled as AC1750-class routers — just by adding the numbers together. If the router offers up to 600 Mbps on the 2.4 GHz network and 1300 Mbps on the 5 GHz network, that’s an AC1900-class router. This is a tad misleading. First of all, you won’t see these theoretical maximum speeds in the real world. More importantly, no single device can get a 1750 Mbps or 1900 Mbps speed. Instead, a device connected to the 2.4 GHz network can get a maximum of 450 Mbps or 600 Mbps. A device connected to the 5 GHz network can get a maximum of 1300 Mbps. Tri-band routers offer a 600 Mbps 2.4 GHz signal as well as two 1300 Mbps 5 GHz signals — that’s 600 + 1300 + 1300, for an AC320″-class router. Again, this is a bit misleading — no device can get a 3200 Mbps speed. The maximum speed for an individual device is still 1300Mbps. But, when you have more and more devices connect at once, they can be automatically split between the separate 5 GHz signals and each device will get more Wi-Fi speed than it otherwise would. But Will a Tri-Band Router Speed Up Your Wi-Fi? So that’s simple enough to understand — a tri-band router is hosting an older 2.4 GHz network as well as two separate 5 GHz networks and automatically dividing up your devices between them. Let’s say you have two devices in your home and both are using a lot of bandwidth at the same time — the router would place each of them onto a separate 5 GHz network and neither would interfere with each other. After all, each of those 5 GHz networks can be on a different wireless channel. Whether this matters in the real world really depends on how you use your Wi-Fi. If you have a lot of devices heavily using the Wi-Fi, a tri-band router could speed things up by preventing all those devices from interfering with each other. On the other hand, if you’re not in the habit of using your connection heavily by multiple devices at the same time, you won’t really notice a difference. And modern Wi-Fi standards may already be faster than your Internet connection speed. If your Internet connection is the bottleneck, adding more Wi-Fi speed won’t actually speed anything up. It’ll help if you’re performing local file transfers and various other things that require only a local network connection, but most people aren’t doing much of that. Don’t be too sucked in by the promises of a tri-band router. While a good dual-band router offers real benefits, the benefits of tri-band Wi-Fi won’t be as obvious unless you have a very fast Internet connection and quite a few devices competing for all that Wi-Fi bandwidth. Is tri-band an upgrade? Sure it is, if you have multiple devices. Is it worth the money? Not necessarily — current tri-band routers are very expensive and you may not even notice the feature on your home network.